I really like the Mondo Disney line. I recently purchased a few of them. I don't really have any Disney movies from when i was young and this is a nice way to collect and enjoy them. The art theme is consistent and carries through the line. Can't wait to see what is next to be released. The steelbook and bluray came in excellent condition and well packaged. I love the artwork by Tom Whalen. 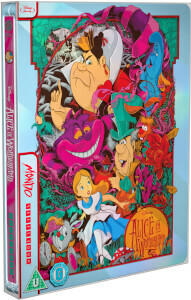 This is a must-have for me as a Disney collector. I hope Zavvi will consider re-release their previous Little Mermaid steelbook. I love its cover artwork as well.